Discussion in 'WIP (Work in Progress)' started by Nosher, Jun 20, 2008.
scale the water to 1.00 in the 2nd picture. Also scale the rock texture to 0.50 at least. We're happy as it is, thanks. fine but leaving water at 0.25 is known as cheap water for a reason. When we had it scaled up, it looked like jelly. So, "cheap" water it is. It will look better when it's scaled up. 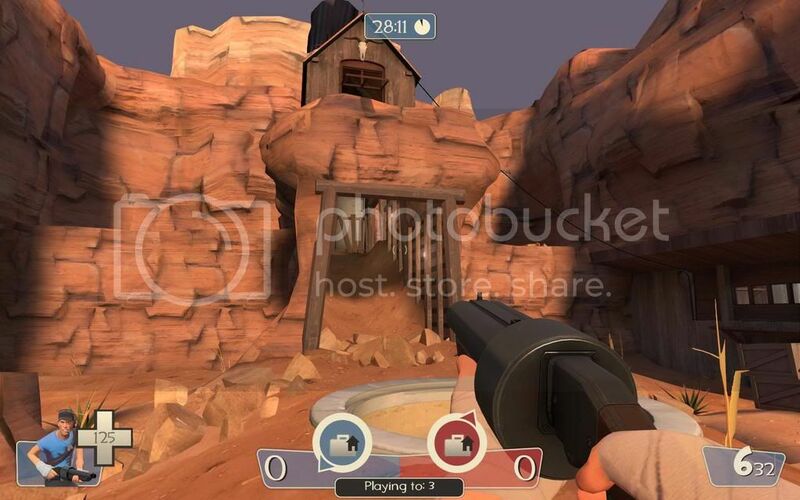 For proof, look at the water in 2Fort. 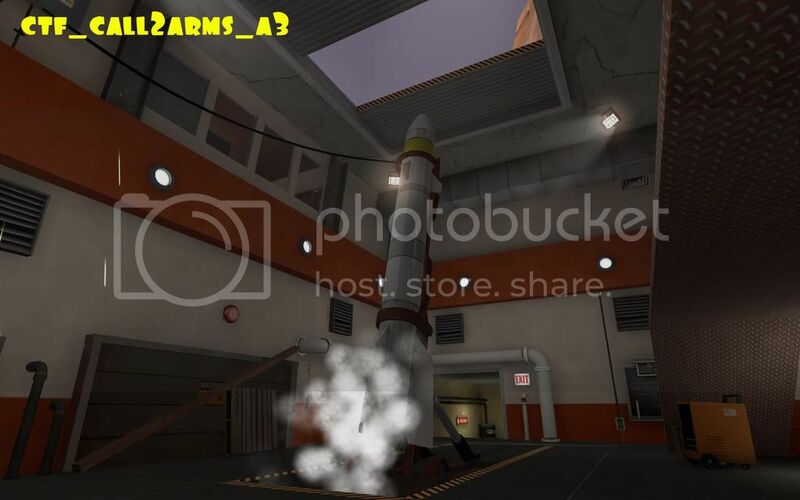 Interesting map, I like that rocket room, but the smoke looks funky it that screenie. As for the water, I like it the way it is, the room may be larger than you imagine in that screenie, and the motion might break the patter a little bit. 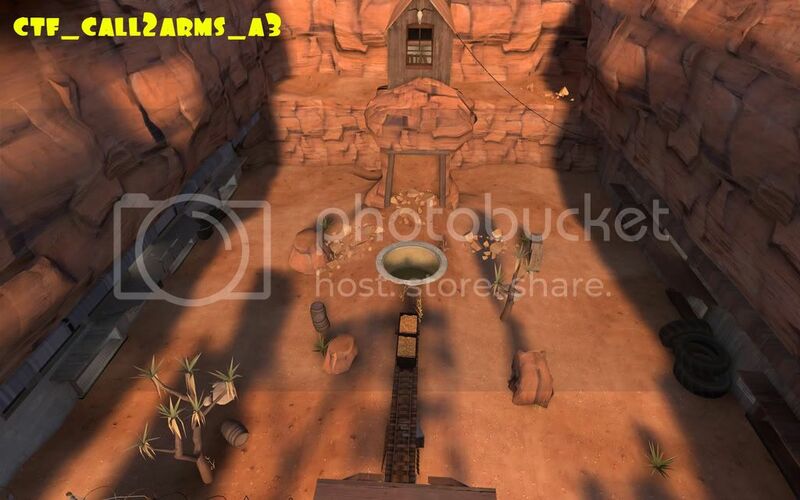 Thanks Arhurt - and you are spot on - ingame, the water looks pretty good - and certainly doesn't look outta place. The cliff looks fine, though i would have to agree with scaling the water up. there's nothing to ripple the water that much in a cave, is there? Also you might wanna add a platform half way up those wooden stairs in the cave, it looks awefully boring just some massive/long stairs and would give an extra defensive position. Otherwise it just looks quite bland. I'm not sure i like all those lanterns, you couldn't mix up the lighting source a bit? Other than that the lighting is quite nice. You might wanna add a trim to the egde of the red catwalk there. Looks rather hl1-ish. Catwalk is ok - again, in game is a better test than a screenie overview. Do you mean add a tunnel Red, per your diagram? Another tunnel would be a bit redundant. The outside is fine as it is. If there are snipers dominating the topside, there's already an alternate route to take. here's my list of comments I already told you in game. However it played quite nice and I had fun with it. Firstly, we appreciate the feedback. This has been something people HAVE commented on and I guess a few of them are lower than is traditional for TF2. MY main point would be - Are they SO low that they get in the way of gameplay? In my experience they aren't, but that's just my (and, to be honest, a few clan-mates') feeling. Altering their height would be a MAJOR ball-ache. Yeah, possibly. Though I wonder if it were more gradual, I think it'd be very easy for demomen to stand outside spamming grenades. Maybe, maybe not. Again, does it adversely affect game play? I don't know. This really IS something I can live with. 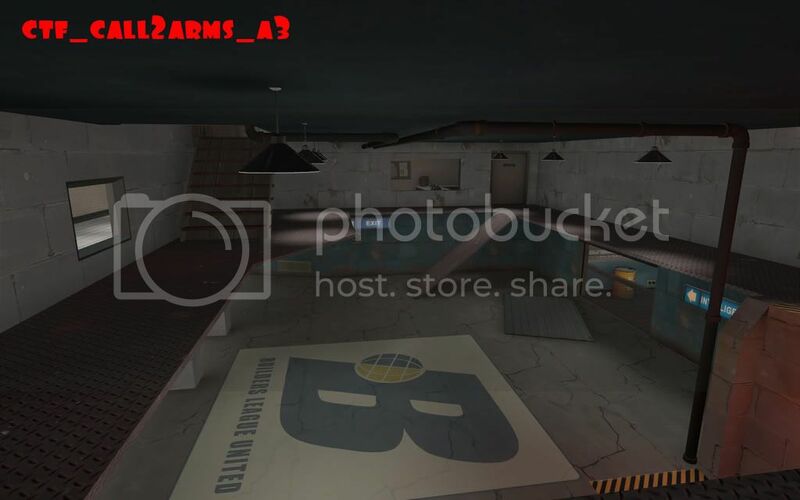 It took me ages to find roof/ceiling textures (from the pitifully small list) that looked ok in certain areas. I believe, from reading posts here, that other people have resorted to using floor textures on ceilings etc, so I thought, what the hell. 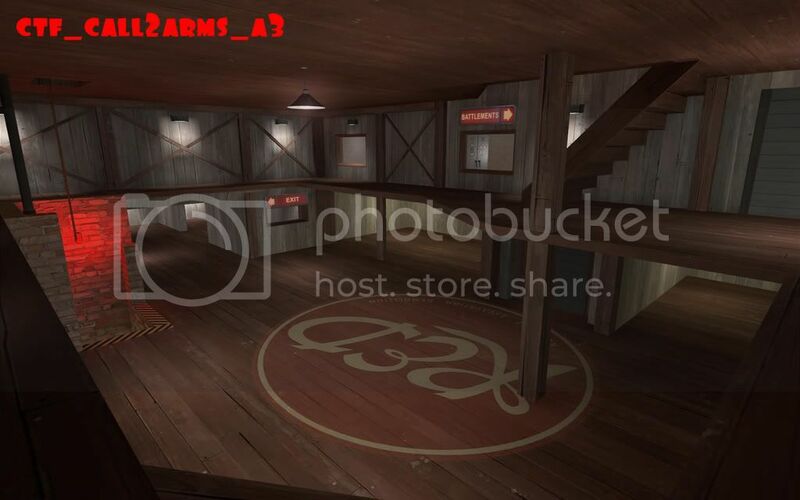 By all means, if there are any textures you think are GLARINGLY out of place/misaligned, let us know. 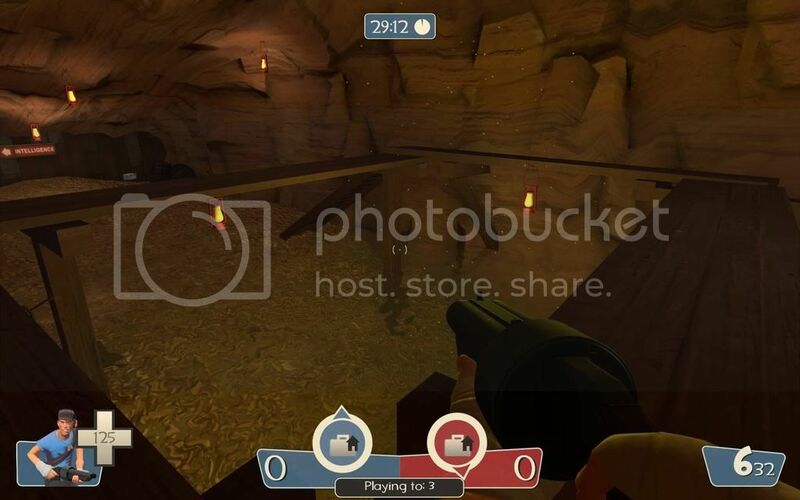 This is our first map and, as such, I've tried REALLY hard to stick to the TF2 visuals, but maybe something's slipped through my net. At the end of the day, as long as it plays well, that's what matters. 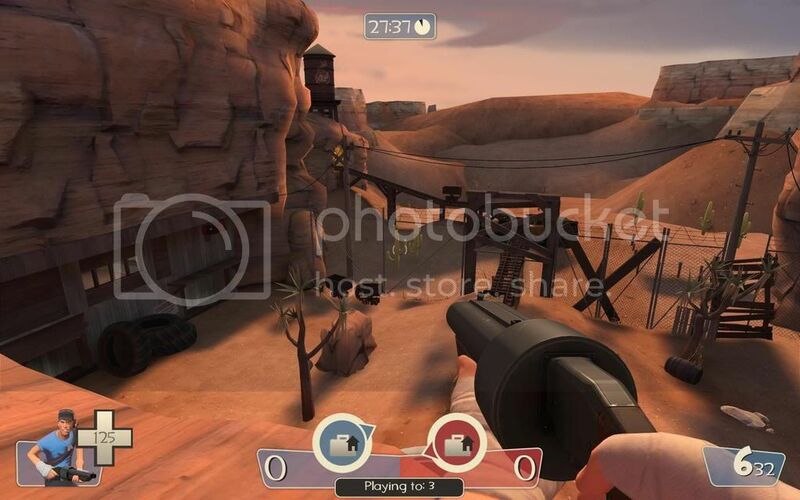 Myself and Nosh would really like to see the map getting a lot of play as we're pretty sure it has a lot of potential for tactical play once people get to know it, so feel free to hop on anytime. none of the things I mentioned really affect gameplay. 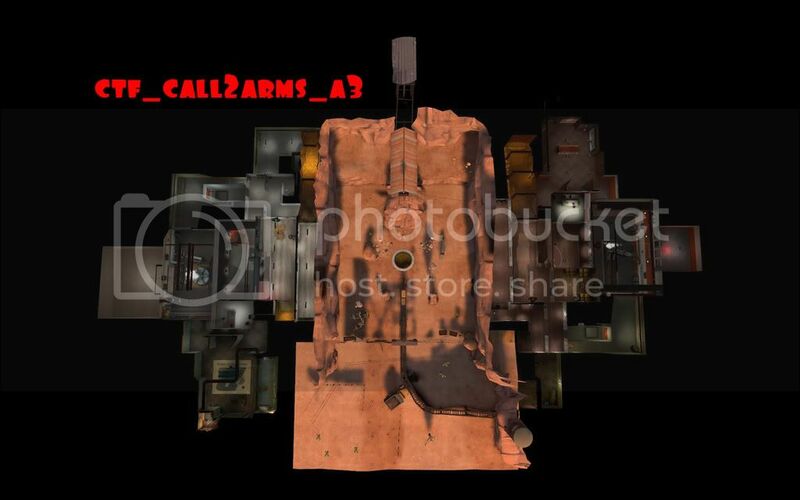 if you'd like to have more feedback on the textures I could take a closer look and maybe provide some alternative suggestions. 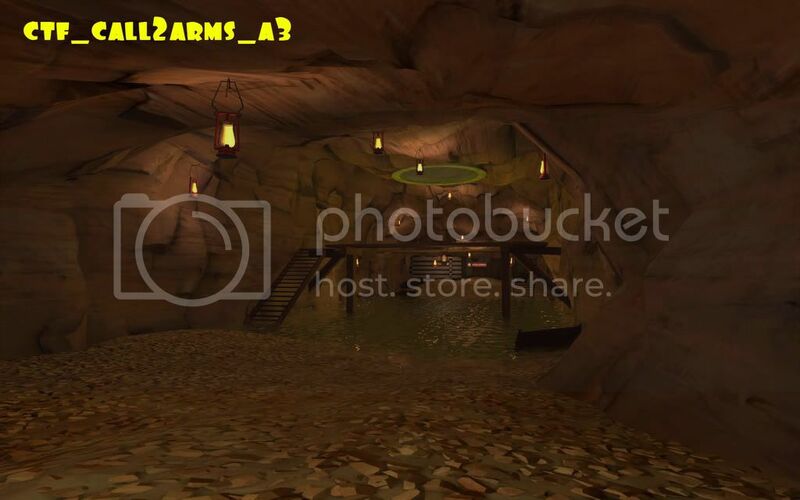 I think it has too much lamps on the cave, but it looks in general very nice! Yep, the big bunch of old lamps looks a bit strange, I suggest some spotlights instead.